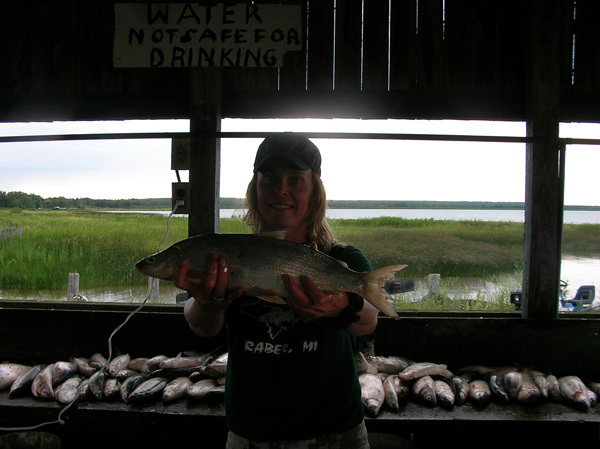 I really enjoy Herring and Whitefish Fishing in the De Tour, Michigan-Canadian Water area near Drummond Island, Michigan. If you head into Canadian waters make sure you have your Canadian license and check in and out with Customs. This was at the Raber, Michigan fish cleaning station. My friends and I caught some nice fish on that day.